The Primary Peach: 1st Blogiversary Giveaway and FREEBIES! It's hard to believe that our sweet "Peach" has been around for a whole YEAR already! Crazy how time really does fly, right? What better way to celebrate a year at The Primary Peach than with a GIVEAWAY?!?! 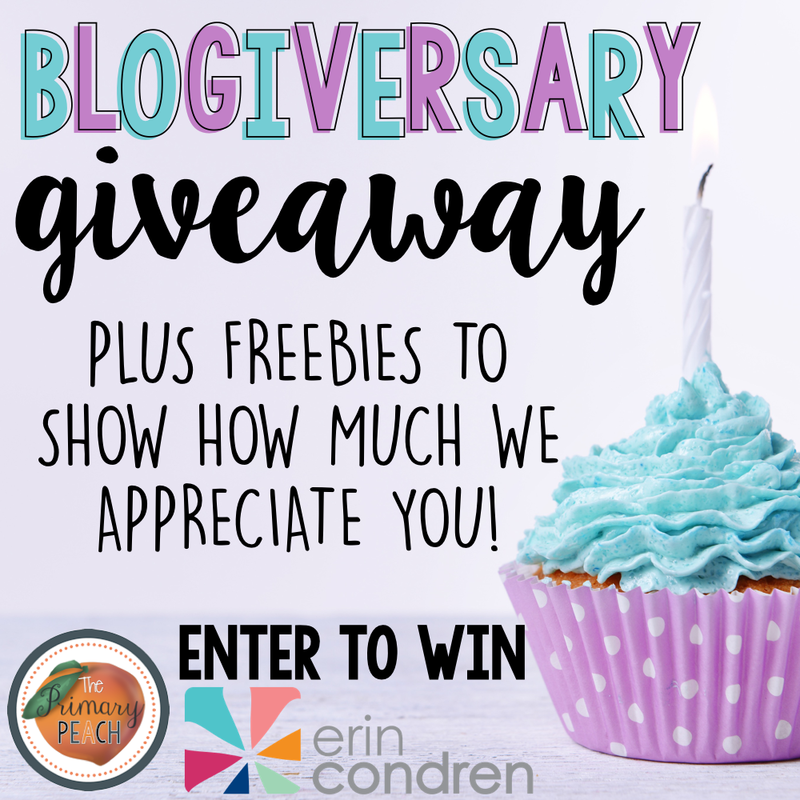 In keeping with traditional anniversary gifts, we thought it'd be fun to give away something paper related - don't hold your breath on fine china, diamonds, or gold in the future - haha - so, we're giving away an ERIN CONDREN gift card! If you don't know about Erin Condren and her amazing teacher planners (although she has so much more than that) you can read all about them HERE. You can enter for your chance to win below.